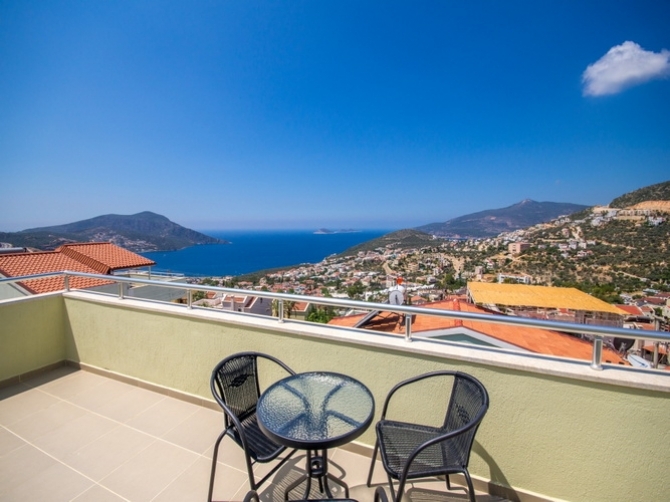 Stunning modern villa nestling above Kalkan town with outstanding views across the town and vivid turquoise waters of the bay. 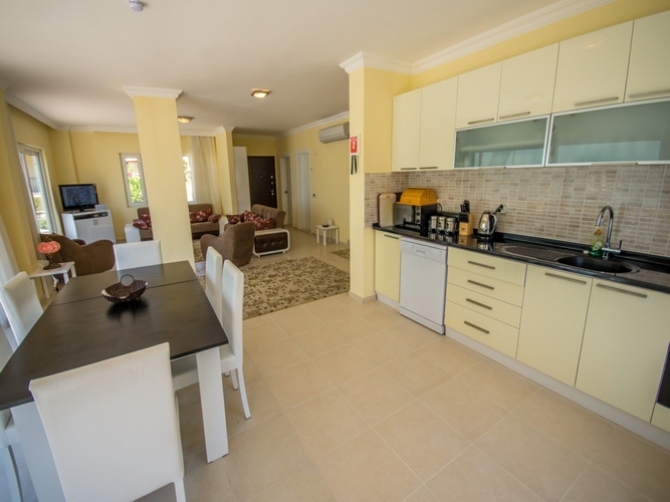 The property has a fully fitted modern kitchen with an open plan living and dining area, 4 bedrooms, 3 bathrooms and a fabulous poolside area with plenty of sunbathing and outdoor seating. Open plan living room, dining area and fitted kitchen, Bedroom 1 and WC. Large outside terrace area. Master Bedroom with a double bed, en-suite bathroom and balcony. Twin bedroom with an en-suite bathroom and balcony. 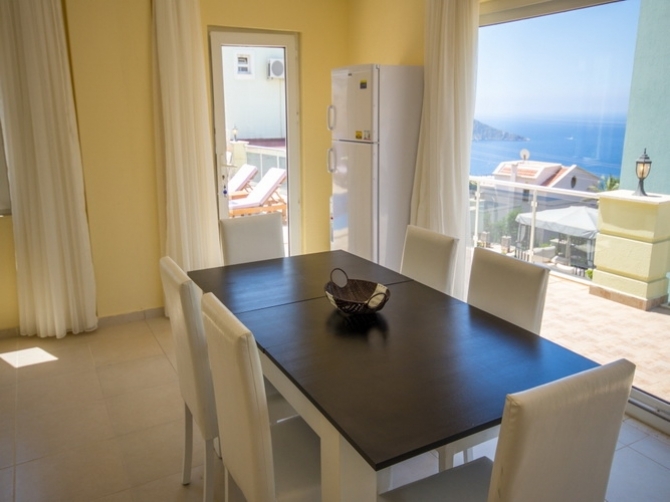 Single bedroom, bathroom and roof terrace with stunning views over the bay. 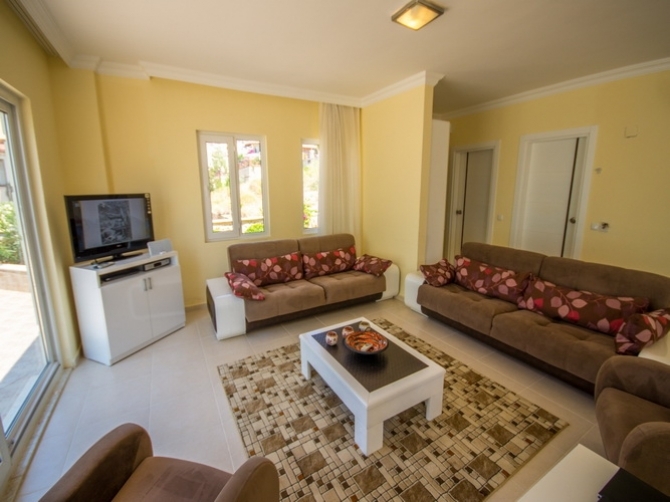 All the rooms are sea facing with unobstructed views. 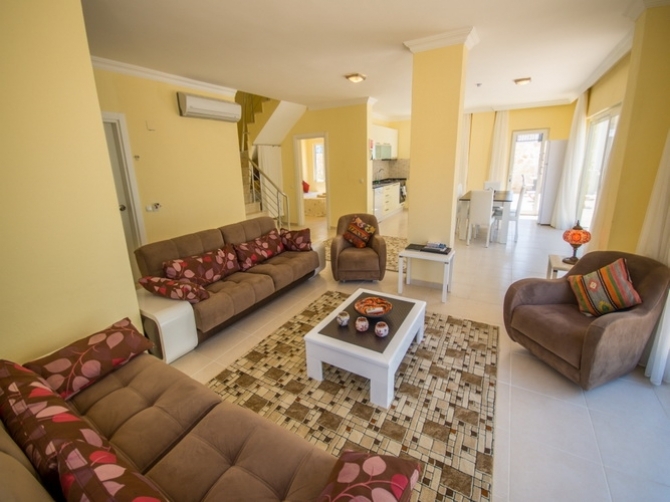 You're also just minutes away from Kalkan's best beach clubs, rooftop restaurants, ancient harbour and markets. Kalkan is one of the most exclusive spots on the Turkish coastline - and this villa embodies the town's luxury, privacy and stylishness.